Want to know how to find a dentist? This series of articles will help you find a local dentist near you. Okay, so I’m going to step out a little bit here and say that dentistry is NOT expensive, it is actually neglect which is expensive. If you have a full set of gleaming white teeth which you have looked after since birth, cleaning them twice per day with a fluoride containing toothpaste and using interdental brushes or floss and mouthwash in between meals then your dental health costs can be as little as £10 per month if you join a dental health maintenance plan with a local private practice. If your teeth have to be restored for example by using dental veneers, dental crowns or dental implants (to replace missing teeth) then the chances are your dentist will be using a dental laboratory. As with many things, it’s possible to use cheap or expensive suppliers. 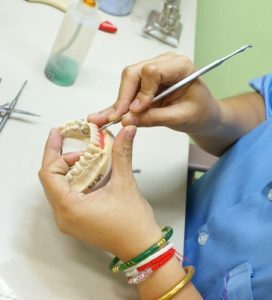 Using a cheap overseas laboratory, perhaps from China could get the cost of the dental crown, veneer or implant down to a few pounds, the dentist could pass on this cost saving to you and therefore save you a great deal of money. However, as with many things you get what you pay for. Cheap overseas work often comes with minimal guarantees as to the quality of the workmanship or materials… Do you really want your dentist compromising on quality of the material that you’re going to have in your mouth permanently? We always recommend that you ask your dentist to see which dental laboratory they are using, you can then do your own research into the quality of workmanship from this particular laboratory. Keeping up-to-date with modern research and training. If you have to have more complex and advanced dental treatments then your dentist will more than likely have been on a recent training course to keep them updated with the most relevant thinking and research. Attending courses such of this has a double cost, the cost of the course itself and the cost of lost revenue whilst the dentist is out of the practice. If you want to have a dentist that is able to treat neglected, decayed or damaged in then it will definitely the legal elsewhere certainly cost this dentist in continuing professional development in this chosen area of dental treatments. Having a team of highly educated dental staff. As well as the dentist themselves the team need to be fully updated with the use of modern materials, equipment and thinking. If you have a tooth to replace my offer example, you will want to know that the whole team are fully informed about how the tooth replacement process works, again this costs money to the team to attend this type of course. 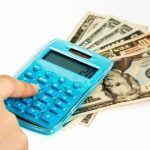 You have a big part to play in keeping your costs down in dentistry. Maintaining your dental health and keeping your oral health care routine in check will ensure that you don’t need to access the more expensive dental treatments such as restorative dentistry or advanced treatment modalities such as replacing missing teeth, bleeding gums or dealing with gingivitis or the more serious periodontitis..
WHAT IS THE PERFECT ACCESSORY FOR A CONFIDENT SMILE? It’s all about having a fresh breath. Together your Smile and your Fresh Breath WILL get you noticed and you WILL be remembered for all the right reasons. So how can you achieve this perfect match? Remember to take regular and good care of both your teeth and your gum health with the help of your friendly hygienist or dentist at Highworth Dental Care in Swindon. We, At Cosmetic-Dental-Treatments.info totally agree with Highworth dental care, taking regular care of both your teeth and gums will help keep your smile bright, your fresh breath and your dentistry cheaper! Finding the dentist can be very difficult, and the best way by far is to always go for recommendation by a friend. This ensures that you can trust the dentist to carry out great treatment… After all they carried out great treatment on your friend didn’t they? If you don’t know of the dentist in your local area then there are a few useful tips to finding one on the Internet. There are many dentist directories on the Internet where dental practices in local areas are located, some typical examples are as follows. These websites do not let the dentists that they list they are simply a directory of local dental practices in your area. Another technique to find a dentist would be to go to Google and search for various treatments and services and include your geographical location. Search for << treatment>> in << geographical location>>, so for example ‘teeth whitening in London’. But how do you know which treatment to search for? 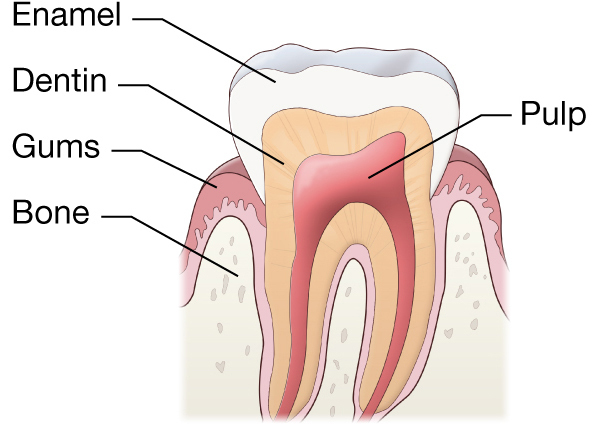 Well, here is an example list of some possible treatments for dental problems. Remember to include your geographical location with each of these treatments. Always remember to include a geographical location with any of these search terms, this way you will be assured of finding a dentist in the local area that can help. Have you found this post helpful? If you did please feel free to share it around the Internet using the links above.